Why are refurbished copiers becoming so popular! Most business offices these days don’t make nearly as many copies as they did just a few short years ago and this trend is likely to continue. In addition the performance, reliability and user friendliness of Ricoh’s award winning line of multi-function copiers is at an all time high. Smart business people understand that with lower workloads a low mileage professionally refurbished Ricoh copier is more than capable of handling their needs at a fraction of the cost while still lasting years. But where can you go to find a refurbished copier delivered and set up with your satisfaction guaranteed? Pioneer Copy Service! 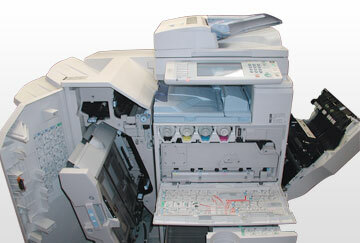 Pioneer Copy Service sells the finest fully refurbished copiers you can buy, at any price! Located in central Connecticut we will deliver and set up your new copier in one visit and have you printing and scanning before we leave, and your purchase is guaranteed or your money-back. 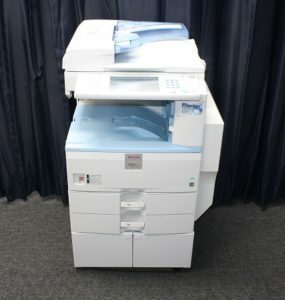 Don’t spend thousands more than you need to when you can get a beautifully refurbished low mileage copier that looks and runs as good as new, guaranteed! Come join our growing family of satisfied customers who decided to go with a refurbished copier from Pioneer Copy Service, It could be one of the best business decisions you ever make. Why refurbished copiers are becoming so popular! Most businesses these days don’t make nearly as many copies as they did just a few short years ago and this trend is likely to continue. In addition the reliability and performance of today’s multi-function copiers has never been better. Astute business people are beginning to realize that a professionally refurbished copier is more than capable of handling today’s lower workloads and will provide years of reliable performance at a fraction of the cost. But where can you get a professionally refurbished copier that you can be sure will perform like new and last for years? On Craigslist , “as is” with pick up only ? Maybe. On Ebay claiming “seller refurbished” with “free shipping from 1,000 mile away & left at the curb? That might work. Actually, these copiers probably aren’t really “refurbished“ but simply cleaned up to look nice and if you read closely you probably find statements like “Fully inspected, pass-copy tested, very clean, great condition“. Pass-copy tested? I think that means it made some copies without jamming. Or “Inspected for Proper Function to the best of our ability 30-Day Run Guarantee”…. Huh? Or maybe “This Machine Is Rated For 200K Per Months So This Machine Has Less Than 1 Months Usage”. Rated for 200K a month? 200,000 copies a month is 9,600,000 copies in just four years. Have you ever heard of an office copier with 9,000,000 copies on it? Why not do business with a trusted local company who agrees to deliver you a professionally refurbished copier, set it up and back it with a two month money-back guarantee. After all, when was the last time you purchased something really cheap that turned out to be really good? If you buy a copier really cheap you’d better set some money aside for when things go wrong and if you’re going to do that you might as well purchase something better in the first place. 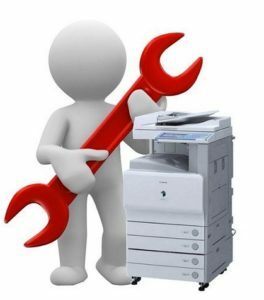 Our professionally refurbished copiers are better than anything you will find in the used copier market, and that is a guarantee or your money-back. Take a few moments and look over some of our current inventory and see exactly what you get, delivered and set up. Give us a call and let us know what you need and if we don’t have it ready to go we will get it for you.